A big thank you to all of you in the north east of Scotland for the welcome given to John and Sue on their tour. John writes “We met many people, congregations and groups. It was good to be able to report on and share the ongoing practical work of the Raven Trust in Malawi. People were especially interested in the orphan housing and re-roofing project around the Livingstonia area. Due to strikes in South Africa the last two Raven Trust containers have taken longer than usual to arrive at their destinations. FCL 70 left in mid May but did not arrive at Ekwendeni until mid September and FCL71, which loaded in June, finally reached its destination in mid October. 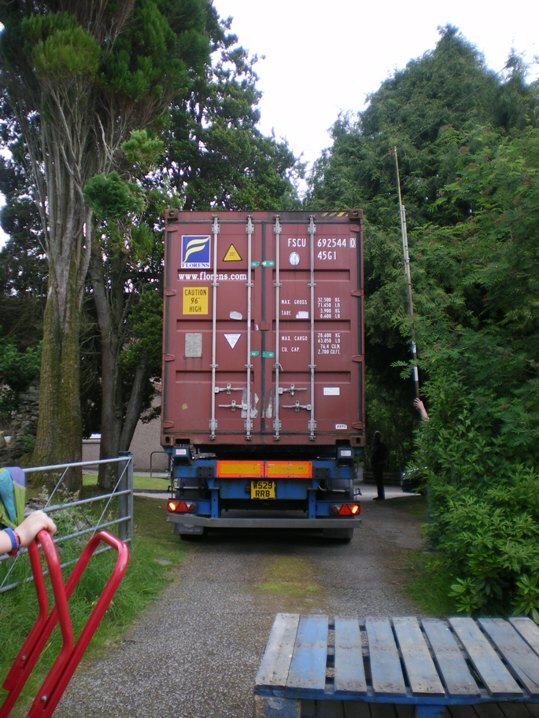 At our Open Day on 16th October, FCL72 was loaded and set off for Malawi. Unfortunately we have just learned that the port of Beira in Mozambique, where Raven Trust containers are unloaded from the ship to begin their long journey to Malawi, is experiencing congestion. We are told this is a result of the South African strikes as a high volume of backlogged cargo is currently moving from South African ports. In addition, Beira is a small port where only two vessels can berth at any one time and because the vessels are heavily laden, they can only berth at high tide. Furthermore Southern Africa has experienced bad weather, particularly high winds, adding to the delays. To add to the difficulties, it is now the rainy season in Malawi when travel by road can be hazardous, so it maybe February before the container arrives at its destination. We pray it arrives safely.